I hope everyone had a wonderful Easter break. 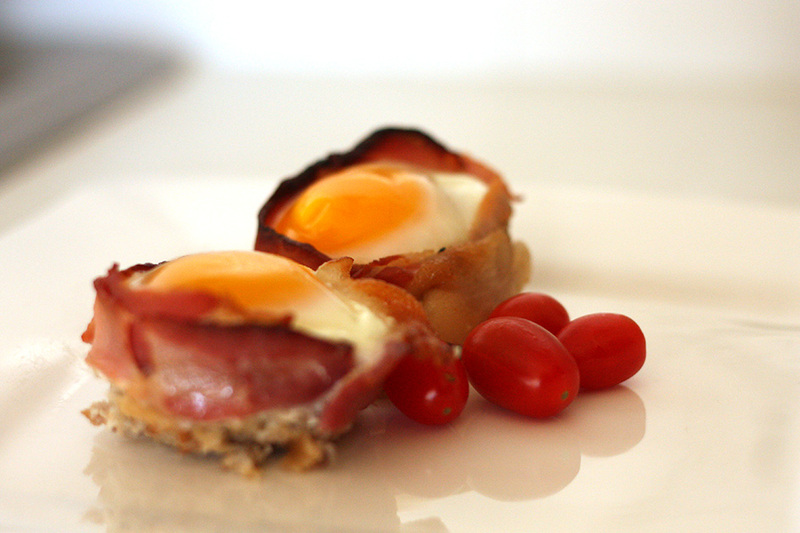 While we’re still just skimming past the eggy time of year here’s another recipe with eggs. This delightful, no-fuss stroke of genius I picked up from my friend Luke’s lovely wife who lives in Korea. When I saw a picture he posted of it on facebook, I immediately had to know the details of this breakfast treasure, because everything with bacon and eggs in it is all shades of awesome in my books. And it’s ridiculously simple. 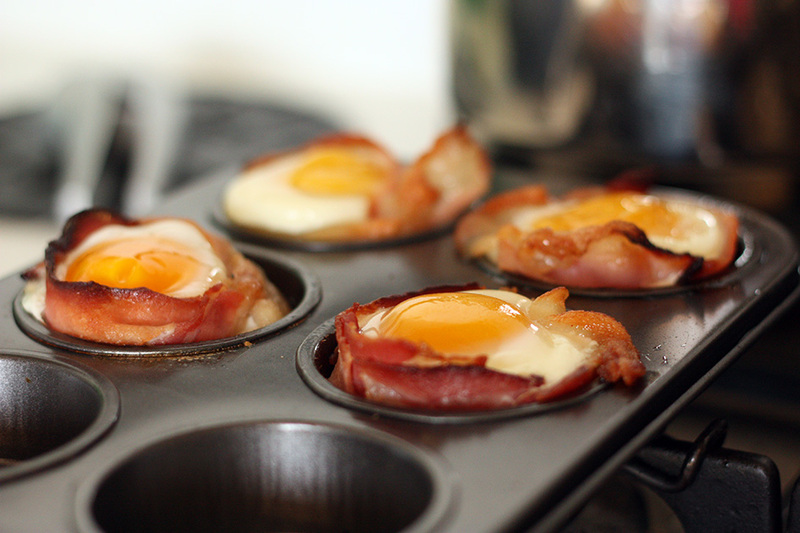 Lay the bacon strips around the sides of a muffin tin, squish bread – crust removed into the cup shape of the muffin tin, crack egg in the centre and bake in the oven on about 180ºC until cooked. Tricia had also added cheese and what looked like a sprinkling of parsley. We were out of cheese but my taller half did suggest that a dash of good quality BBQ sauce (Sweet Baby Ray’s or Smokey Joe’s) underneath the egg would be desirable also. what a cute look they have! Can you give me a guesstimate of cooking time? Look great! Depends on how well done you like your eggs Peter. I give it about 10-15 minutes then keep an eye on it until the whites of the whites are cooked but the yolk is hopefully still runny. Still on the trial and error there myself. Soft whites, runny yolks – too easy! Sweet! 🙂 Good to hear you gave it a go.